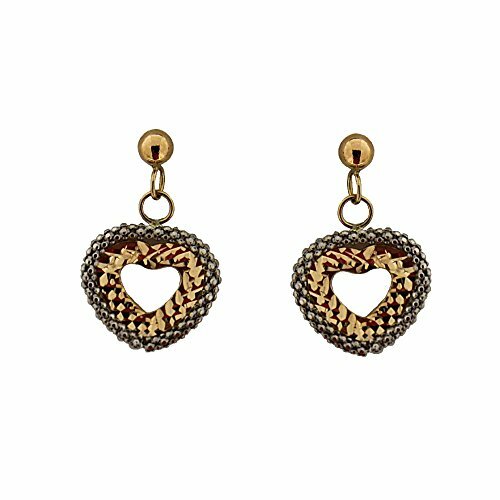 18Kt Dangle Two tone open heart post earrings(0.60x 0.40 Inch) by Amalia at Blood of The Young. Hurry! Limited time offer. Offer valid only while supplies last.